Acupuncture : What is it? Acupuncture is a part of Traditional Chinese Medicine that involves the placement of thin, flexible needles along certain points throughout the body in order to promote healing. When these points are triggered, the body’s “qi” or life-force flows freely throughout the body’s meridians. The “qi” is made up of bodily fluids such as blood and hormones. When they are flowing properly, the body is able to thrive and become self sufficient in healing. For anyone who hates needles, these aren’t scary like the regular needles at the doctor’s office. They’re not made with sharp points to slice into the skin. Instead they have rounded tips that push the skin apart. You won’t feel like a pin cushion! 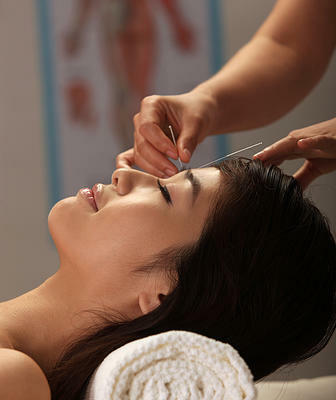 Acupuncture needles are steel metal alloy and merely tools used to correct the energy imbalances within the body. When the needles are positioned the patient may feel numbness, heat, dull aching, or a tingling sensation in the vicinity of the insertion. This occurs if the needle is incountering a blockage in a meridian channels. Generally, the needles are left in place for about 15 to 30 minutes. Chronic pain is a huge roadblock in many people lives that is difficult to overcome. Depending on your circumstance, acupuncture could be the alternative health solution to managing your chronic pain. Using acupuncture as treatment, people may be able to avoid certain surgical procedures or stop the use of different medications. The wide variety of conditions and disorders it can treat is amazing when you stop to think about it. There is enough evidence that this ancient medicine can complement alternative treatments and help to provide patients with the best healthcare available. Still not convinced that acupuncture can help? Check out the reviews by actual patients! Here at Xu Wellness Center your first consultation for acupuncture is free! We want you to know what to expect from treatment and how it can help you. Our resident acupuncturist will talk with you about any concerns that you might have and make suggestions regarding treatment and a healthy lifestyle. We know that there are many aspects of life that can effect how we look and feel. When we know what’s causing our problems it is easier to figure out the course of treatment! If you wish to set up an appointment, call (901) 737-8282.